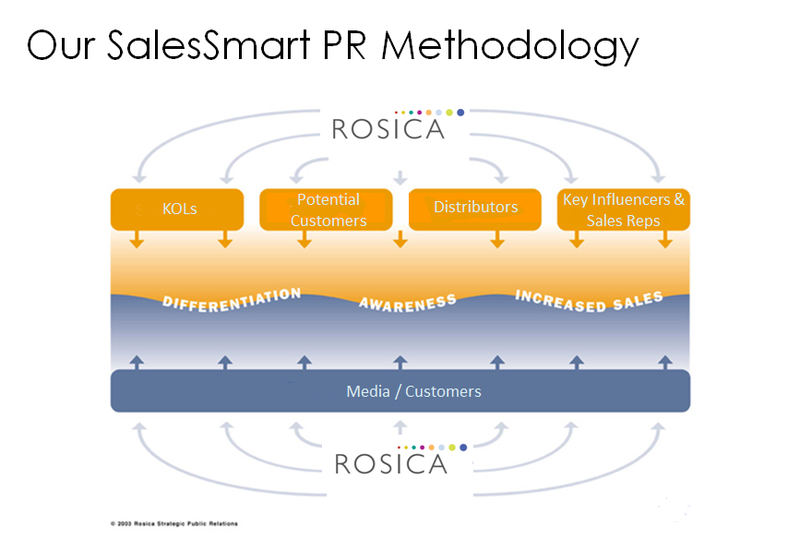 Rosica’s proprietary Sales Smart PRsm process brings accountability to PR. It takes public relations results and turns them into highly-credible, influential selling and marketing tools. With Sales Smart PRsm, we extend your PR campaign reach far beyond the publicity coverage itself. Because we focus on leveraging the third-party media endorsements we garner, all marketing activities merge in a productive way. This can impact purchasing decisions, brand awareness, corporate image, social reach, and content marketing. Through this process, we’ll motivate your key stakeholders including (but not limited to) existing and prospective customers, distributors, retailer partners, employees, and industry influencers. We will help you get noticed, build credibility, demonstrate your commitment to marketing, build brand advocates, and support sales. This ensures a stronger return on your PR investment.